According to TheBrickFan, there's currently a tumor that the BrickHeadz theme will be ending at the end of this year. What do you think? I really hope it isn't true. At first I thougt they were stupid little sets, but I've grown to love them. It feels like they're just starting to hit their stride. Unfortunately, the same thing happened with the SW buildable figures, so I can completely believe this. I can see it happening. They went from 12 retail sets last year to about 60 characters this year. It's over saturation. Many retailers are not stocking new ones as they just seem to end up clearancing them. Perhaps the novelty wore off? I'd be surprised if they completely disappeared, but LEGO does cut bait and pivot their resources elsewhere quickly. I see them everywhere in the clearance isles. 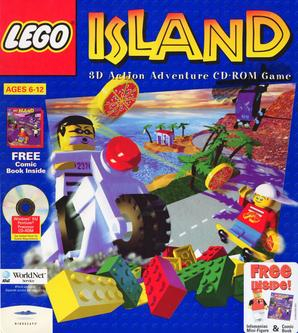 In addition, when TRU was closing, the only thing left in the LEGO isles was tons of BrickHeadz and Dimensions - neither of which was moving. I think they are fun sets with great potential, but LEGO ruined them by oversaturating the market. Collectors are not going to buy 50+ plus a year, and builders will want to get just a few of their favorites. The other thing to keep in mind is that these are at the low price-point, but high margin for the parts. I'm LEGO really doesn't mind clearance and markdowns on this product. 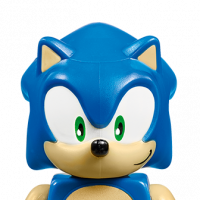 I'd have ridden the buildable Funko fad and sold as many of these as possible and then move on to the next fad. I mean, they were brought about to counter Pops right? Those are still super popular right? I can't see them abandoning ship until that fad is dead. Typical. I have just started to like these. Same thing happened when I discovered Mixels and Elves took a while to grow on me and that is going too (I think?). Nooooo. Really hope not. Love them and hope they continue in to next year. So many characters we could still get. Also, it's hard to type on mobile sometimes. I would be somewhat surprised if brickheadz are gone completely after this year. There are supposedly several that are retiring quickly this year, but that's not necessarily a bad thing. Funko Pop is still going strong from what I can tell. I can't imagine the same amount of design budget goes into one of these that a normal set would entail. 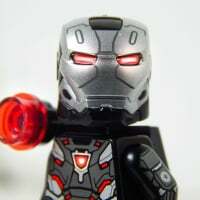 If LEGO just keeps the numbers relatively limited, no reason to think they couldn't go on somewhat indefinitely just like the Pop figurines. The possibilities are nearly endless for what they could do. I dunno, it's pretty rare for a theme to get more sets in its final year rather than fewer. Normally themes get smaller (not bigger) before disappearing entirely: consider the fates of Elves, Nexo Knights, the various LEGO Movie themes, Dimensions, Legends of Chima, Atlantis, Kingdoms, Power Miners, Space Police, and G1 Bionicle as they approached retirement. I doubt the theme itself is ending completely (from past cancellations TLG prefers to quietly shoot the thing out the back rather than going for a more public execution), but I wouldn't be surprised if the sets had a shorter "shelf life" as such like the more standard Funko Pop thingies - bring out a ton, retire most of them after a short while and then bring out a fresh new bunch so that the shelves aren't completely bursting innit. I mean, either that or they're doing a Dimensions and someone upstairs is pulling the plug early, which would be surprising to say the least - we'd get some decent cancellation sales outta it though, so I guess every cloud has a silver, discount-based lining. Maybe TLG should just produce shorter runs of them? They do seem to flood aisles and never seem to sell out - why not make them a little more limited edition? I still haven't bought a Brickheadz for myself and that's unlikely to change but I can see why people out there like the stylised characters. I just prefer my stylised characters in the form of minifigs. As a recent interested party for these I hope this is not true, they're really quite innovative for basically building similar designs. Some have been really good, like the BttF ones and Mickey and Minnie. I'll be disappointed to see them go if true. Any idea if those rumored gravity falls ones are still happening? I've only ever bought a couple on large clearance for parts as I've never really wanted them as display objects. What's the point, you build them and that is it. At least to me. However, I can see why people that display this type of set like them so it would be a shame to cut them off now, but then the seem to have covered just about every license possible* anyway so maybe they have run out of ideas. * see below. If they were to make, for example, a classic spaceman (or a series in different colours) or a castle guard, maybe I'd be interested again. Same with LOTR and Hobbit, a major license that seems to be missing. Do a series of all 9 Fellowship or the whole company of dwarves and I'd be interested. Do just a couple, and I won't be. I would be really sad if Brickheadz ended so soon. That is good to hear. Where did he say that? They're not my cup of tea really, but I did get #41612 Steve & Creeper because of the Minecraft link and I might also get some similar to the ones @CCC suggested, Classic Space, LOTR, The Hobbit, if they were ever made. I'd definitely go in for some LotR/Hobbit ones - but that's exceptionally unlikely I think. The only one I have any plans on getting right now is Boba Fett. I live about a mile from Funko Pop's headquarters. They are certainly still in full hype. Every time I visit, I see entire families, each with a basket in hand full to overflowing with characters. They may end up the way of the Beanie Baby, but I think there will always be a somewhat decent market for them. I begrudgingly stepped into collecting Brickheadz, but have since fallen in like with them more and more. That said, I don't think I'd be too disappointed if they ended up going away. I certainly wouldn't mind if they slowed down a bit either. Even all the holiday sets are BrickHeadz this year! Almost every year "all" of the main release (small) holiday sets are all of one type. Last year they were the boxed "scenes", 2016 had the boxed individual brick built characters (dog,vampire, chick etc). 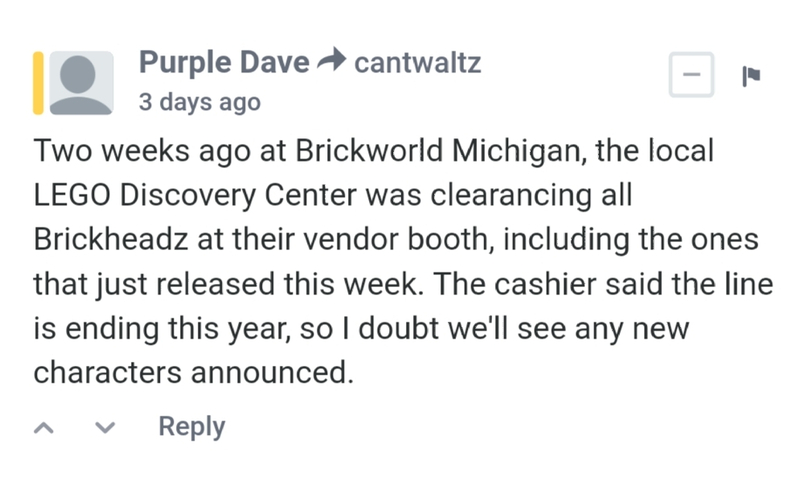 The corroborating source of the rumor for the Brick Fan article is a guy who heard it from a cashier working at the Lego Discovery Center booth at Brickworld Michigan. So maybe not the most reliable source. I hope they stick around for awhile, they make great parts packs. So... that's no corroboration of anything. (The original post, so you can make your own conclusions.) It rarely surprises me that there is a total lack of veracity of anything on the Internet. 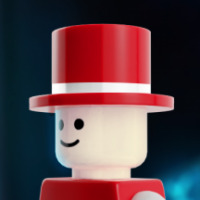 And in a completely unrelated unsubstantiated rumor, LEGO is doing away with their marketing and PR departments and are now making product announcements through random cashiers in Middle America. This is the problem with sites like the Brick Fan, who seem to report any rumour with a big headline. And when it is published on there, it becomes fact. Wow, a rumour sourced from a LEGO Discovery Center employee. Not even the "Lego Store employee" often used for unfounded rumours. So The Brick Fan basically posted an article about the ramblings of a random person with no way of having actual inside information. That's not going to make me visit their site any more frequent. It's now going to go full circle, people see it here say to Lego store staff, who then pass it on creating a new 'source', then it must be true! I say we have a competition to see just how big a ridiculous rumour we can get made into 'fact'. The fact is, several BrickHeadz are currently out of stock at [email protected], and not only those released 9 days ago. It is not only that, but this was from a cashier from the LDC running a stall at the Brick World convention. There is a possibility that they were clearancing Brickheadz as they didn't want the overhead of transporting them all back to the LDC at the end, especially if other stock had already or was coming into the store. "Wow, we have a ton of these Brickheadz, they aren't selling well boss, what do you want us to do?" "knock a few bucks off and tell the nerds they aren't going to be making them anymore, they should sell like hotcakes." ^ and ^^ I'm sure these are both true. and the info that was spread about from a post on MSE, copied to HUKD (https://www.hotukdeals.com/deals/the-sun-free-lego-promotion-starts-6-oct-2012-1319727), and an article on brickset (https://brickset.com/article/3776), and elsewhere. It is amazing how many people on the HUKD thread say they went to collect and it wasn't on after all, and the guy that pre-sold 57 of (presumably) the Uruk Hai polybag earlier in the week. All based on a rumour from a post by someone pretty much anonymous. So well done to A. Jones for having a false rumour as fact for 6 years now! I actually recall seeing The Brick Fan using a well-known Brickset member's post as their sole verification for one of their many rumours. I don't remember whose it was, nor what it was about, and not even whether it was true, but I'm pretty sure @SumoLego was involved somehow. As he is with everything here. EDIT: The article wasn't by The Brick Fan, but The Brick Show. Damn these super similar website names! Yeah, was The Brick Show that spread an unsourced rumour that Nexo Knight was getting cancelled. Well, eventually it did, just more than a year later than when they published their nonsense article. 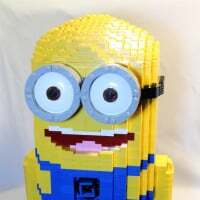 Both the Brickheadz and Nexo Knight rumour articles seem to be "hey, there's something about a theme a fair amount of AFOLs are vocal about disliking, let's generate some clicks." Anyway, the The Brick Fan was not a site I visited daily, and them publishing 100% nonsense articles just to get clicks will just push them even lower on my list. Using a pseudo-anonymous messageboard posting as a source is just reckless. I do occassionally come across a nice bit of information, but if you're 'reporting' 'news', some effort should be made to verify the source. Nobody wants actual sources anymore, just the revenue from millions of clicks. The worst offender is Brick Fanatics. It's posted four rumours this week already. "According to information received by Brick Fanatics..."
It's all total bo??? ?ks and click-bait. Had never visited Brick Fanatics, so had a look. Wow, so they're basically just looking for Lego leaks and rumours on Instagram/Eurobricks/..., and then writing an article about it. As they are part of the Recognized Lego Fan Media and have a LUG Ambassador, you'd think they know better? 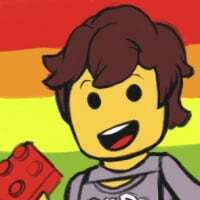 "Top Ten Cancelled Lego Themes for 2019! Number 7 Will Surprise You!!1! !1"
Anyone is your "friend" when they pay you to advertise. Welcome to the internet. What's odd is them slipping up and letting their true feelings leak out. They'll probably use that quote in the promotional material for their mag. ^^ I was not paid to advertise it. I'm never paid to advertise anything. I would count Graham, who writes the rumours, as a friend, but don't agree with his editorial policy.